Digital health is a convoluted and complex field, much of which is made up of technologies and services that enable healthcare outside of traditional clinical settings. It follows a global trend in the healthcare industry of decentralization to alleviate overburdened hospitals and clinics. 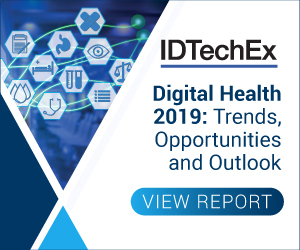 Coupled with escalating healthcare costs, shrinking profit margins and ageing populations suffering with chronic conditions, digital health offers a solution to these problems for all players in the space including patients, providers and payers. In fact, it presents such an alluring and lucrative opportunity that companies not previously in the healthcare space are making significant investments and moves to do so. Big tech companies such as Amazon, Apple and Alphabet also used January 2018 to announce their endeavours into the digital health space, impacting the price of stocks in the healthcare market. Remote patient monitoring: the remote monitoring of individuals to collect information through wearable sensors outside of a clinical settings e.g. smart watches collecting information on blood pressure. Digital therapeutics / digiceuticals / software-as-a-drug: using software such as mobile phone apps to diagnose, treat and monitor patients e.g. a mobile app prescribed to treat PTSD. Consumer genetic testing: describes the use of genome sequencing on consumer samples to reveal details about an individuals' genetic make-up which may impact their health e.g. using a cheek swab to determine whether you are likely to be predisposed to particular vitamin deficiencies or whether you are potentially lactose intolerant. Diabetes management: chronic diseases such as diabetes present a substantial market for digital health e.g. continuous or flash glucose monitors which are wearable or non-invasive. Smart home as a carer: lower costs and sizes of sensors, and better connectivity and networks along with ageing and diseased populations mean that fitting sensors into the home is becoming a reality allowing decentralized healthcare e.g. sensors which alert carers in case of an emergency.